Why do I have bed bugs, what did I do to deserve these bed bugs, how did I get bed bugs? These are standard questions that can annoy and puzzle every household. There is no straight up or simple answer to these questions. 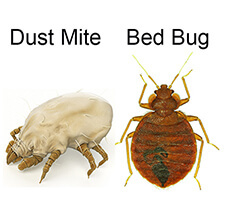 Bed bugs can come from a variety of sources and if you have bed bugs it doesn’t mean you have a dirty house or a messy tenant. If they find there way into your home they will set up camp, multiple and drink your blood. For bed bugs to make it into your home they need to catch a ride on you, your guest or some bed bug ridden item you cart into your home. Therefore it isn’t always possible to avoid transporting these pest through your front door and into your life. Purchasing second hand beds and couches that have bed bug infestation, or even used clothing is probably some of the most common ways to walk them in the door. 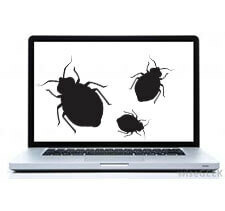 When travelling and staying in infested hotels they can get into your luggage, adding uninvited guests from your trip. You can even bring them into your home after you go to the cinemas and watch the latest blockbuster or visit your friend who has a bed bug problem. They can simply hitch a ride in your bag, on your shirt or in your shoes. Once in your house they can move between rooms via people and furniture, or when disturbed from your poking and prodding trying to figure out why you are coming up with these red spots and rashes on your body. As bed bugs can live for over six months without any blood for consumption they are resilient survivors that can make there way into your life when you least suspect it. How did I get bed bugs, now you know, but not really. If you would like to view our bed bug resistant luggage encasement options click here.